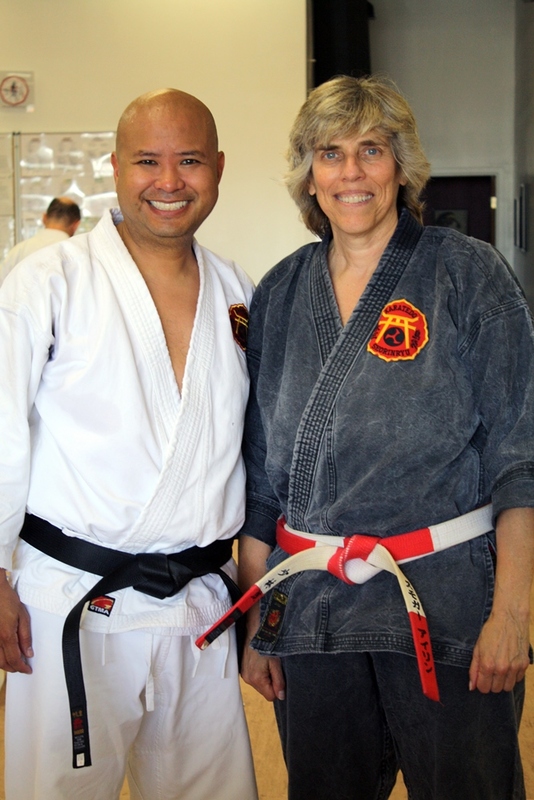 The Okinawan Karate Club of San Diego (OKCSD) is a Traditional Martial Arts School located in the North Park area of sunny San Diego. We teach the Okinawan style of Shorin Ryu Karatedo, with added elements of Shorei-Goju Ryu and Shudokan Karatedo. Sparring and Okinawan weapons (kobudo) are also taught starting at the intermediate and advanced level, respectively. 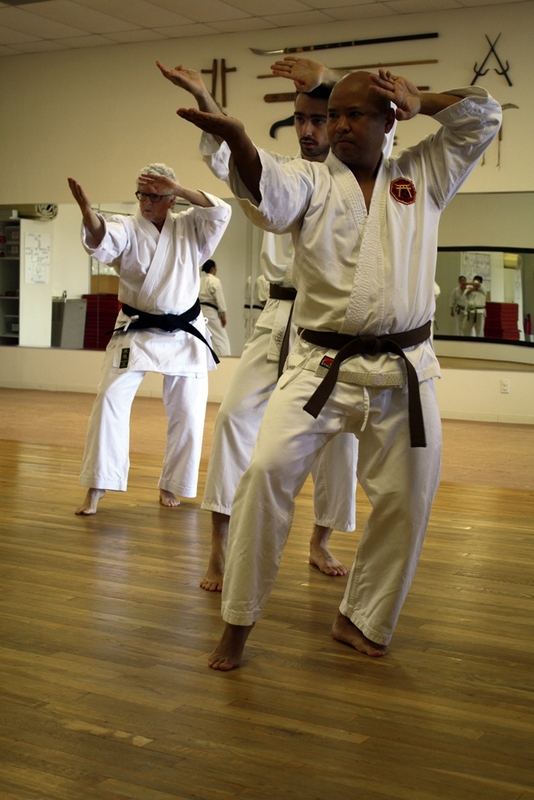 If you are looking for karate classes in San Diego, Okinawan Karate Club is your #1 choice! Remember to check out out all of our 5 star reviews online. Visit us on Google, Facebook and Yelp! Our karate classes are available for adults and kids. Classwork instruction is separated in 4 sections: basics/kata, self-defense, sparring and weapons. I. Basics/Kata focuses on the basics of kicking and punching at beginner levels to learning the various kata (forms) at the intermediate and advanced levels. II. Self-defense not only focuses on defending self against a single attacker but also multiple attackers, self-defense tailored for women, and defense against the attackers armed with a club or knife. We incorporate various grappling techniques from Judo and Aikido such as throws, arm bars and wrist locks into our self defense routines. III. Sparring is the competitive, sport portion of the training in the the school. It is in the form of point sparring, a version of “tag” with controlled techniques to scoring areas of the body similar to fencing. Competitors wear protective gear including head gear, hand pads, feet pads, mouthpiece and a cup (for males) to minimize injury. Chest protectors and shin guards are optional. IV. Lastly, at advanced levels, we train students in proper use of traditional Okinawan weapons including the bo staff, the nunchuku, the sai, the kama (sickle), the tonfa and the oar (eku). We have no contracts or testing fees for our karate classes in San Diego and we have low monthly dues ($15/class or $60.00 per month). 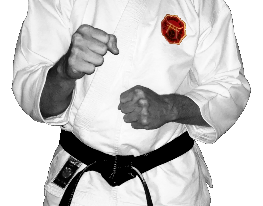 Enrollment in the first month of lessons includes a free karate uniform (gi)! We are conveniently located in the North Park neighborhood of San Diego! If you have any questions, feel free to message us. We will get back to you as soon as we can.